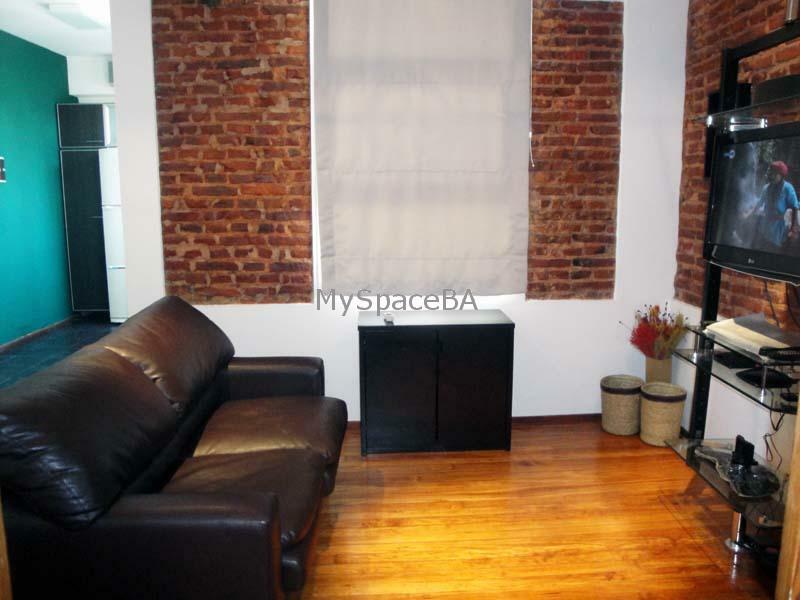 Beautiful and very affordable one bedroom apartment located right in Downtown. It has a lot of natural light, its very quiet as its situated at the back of the building. The apartment was recently decorated to a very high standard. It has a lovely living dinning room . Laundry . Fully furnished kitchen . The bedroom is en suite with Queen size bed ( it can be separated if you need it ). The bahtroom has shower. A very good option to stay in Downtown . Very quiet apartment. Original hardwood floor . It was recently decorated . Very good quality of furnishs . Three hot and cold aircons . Home teather . LCD TV . DVD . Internet Wi Fi . Landline telephone . Iron . Hair dryer . Kitchen with washing machine . Gas cooker . Toaster . Dishes . etc. Towels and bed linen . Very good building . Three elevators. Located in Downtown . Plaza San Martin . Florida Pedestrian . Madero POrt . Retiro Train Station . Subways . Port Station . Night life area . etc. Included: All the utilities are paid by the owner .